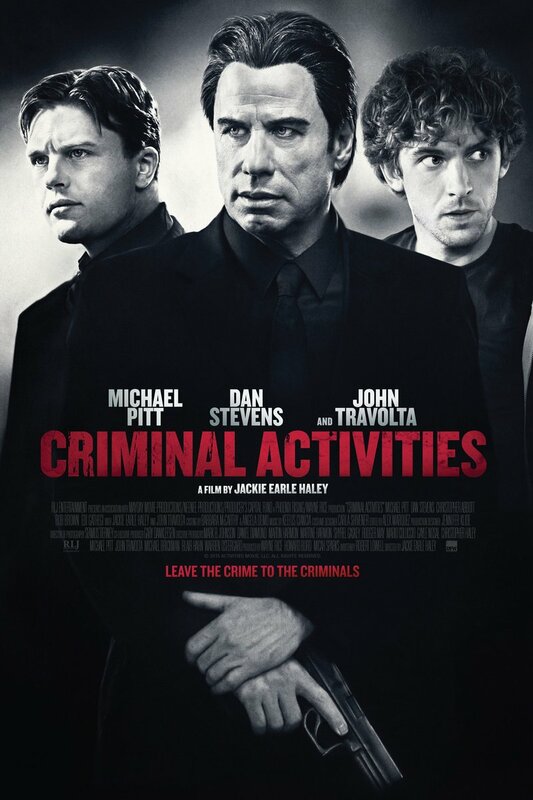 Criminal Activities DVD and Blu-ray release date was set for February 16, 2016. After meeting up at an old friend's funeral, four former schoolmates decide to go in on a get rich quick investment that will leave them all millionaries - or so they hope. After agreeing on the deal and investing their money, everything starts to fall apart and they lose their money. The problems don't stop there, though - one of the men involved borrowed his money from a member of the mob, and he and all the rest must think and act quickly to stay one stop ahead of the wrath of the lender and his associates in the mob.